The Government of Belize declared a ‘State of Emergency’ in two locations in the south side of Belize City on Wednesday, September 5th, due to escalating criminal activity in the area. The gang-infested areas are by George and Banak Streets where gang rivalry is suspected to have been responsible for the most murderous weekend in Belizean history when six persons were killed between Friday, August 31st and Saturday, September 1st. The majority of the murders involved the use of firearms. The alarming death toll forced the government to request that the Governor General of Belize, Sir Colville Young sign a statutory instrument on Tuesday, September 4th, declaring the ‘State of Emergency.’ The provisions of this instrument give the police and other agencies the authority to incarcerate suspected gang members for 30 days. Since the declaration, over 100 persons have been locked down and taken to the Belize Central Prison, where they will be imprisoned until October. 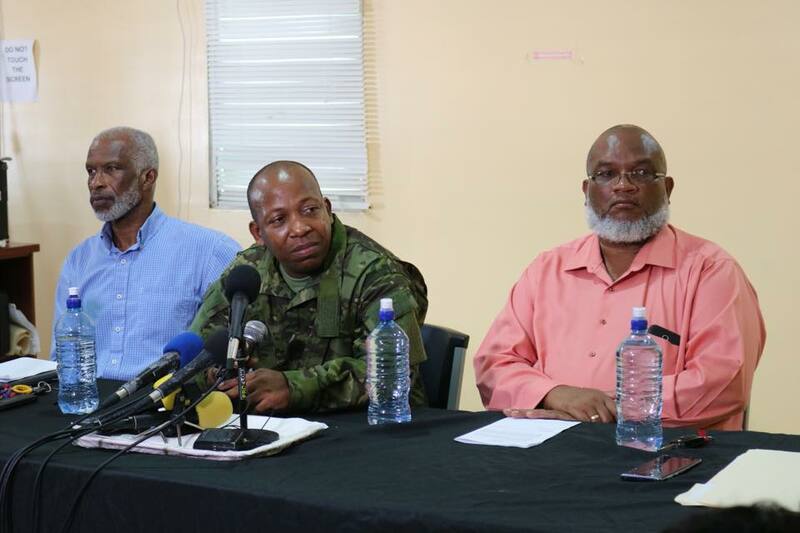 Early on Wednesday morning, the Minister of National Security, Honourable John Saldivar held a press conference in Belize City along with Chief Executive Office George Lovell and Acting Commissioner of Police, Chester Williams. They announced that measures were being put in place to deal with the escalation in gun violence in anticipation of the scheduled September celebrations. Lovell began by stating that there was a similar situation in March of this year, and because of that, Belize Defense Force soldiers were brought back into the streets to assist the police. He indicated that since then, they had considered having some areas declared as emergency areas due to the unrest. 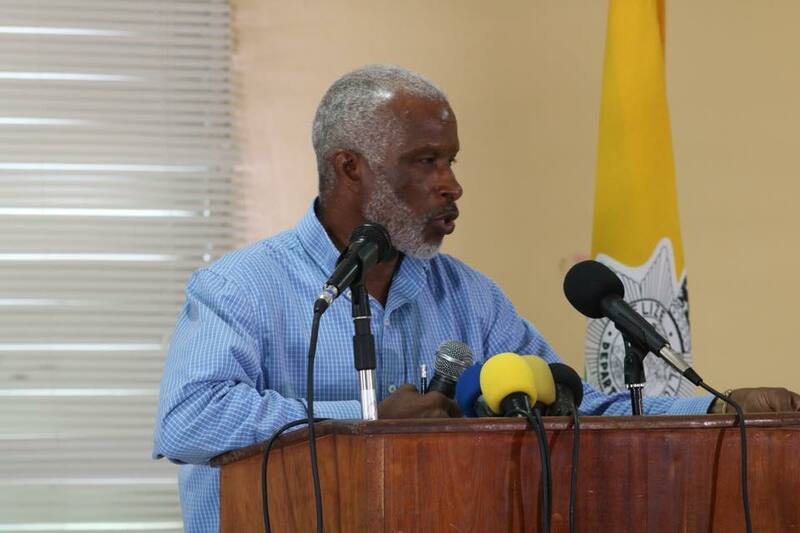 Williams told the media that police has been in constant dialogue with the different gang groups in south side Belize City. According to him, the talks yielded positive results in only some areas. Williams believes that in those areas the gang leaders think they can hold the rest of the city hostage. “Some people seemingly learn differently from others, and so it is now necessary for us to be able to move to another level where we can let those persons who are adamant about creating havoc in our society understand that the police are here to do a job, and that job will be done at any cost to ensure the safety and security of our law-abiding citizens,” said Williams. Saldivar spoke about the option to have an extension of the 30 day period for the incarcerated gang members if necessary. “We will have to take the matter to the House of Representatives, and I as the Minister of National Security do intend to do so if the circumstances do so warrant,” he said. Saldivar touched on the fact that in recent times when someone is accused of a murder they end up securing bail and get a release. Saldivar indicated that an amendment to the gang legislation has been tabled to make it more difficult for criminals to get bail. “That will add restrictions to the ability of magistrates and the court to give bail; we believe that we will then be in a position to further incarcerate these gang leaders who insist in creating havoc in our society using the gang legislation,” he said. Saldivar also mentioned that the Attorney General’s Office is making proposals in an attempt to clean up some of the unnecessary laws the government has that end up in some way protecting criminals. Those proposals will be presented at the next meeting of the National Assembly. Saldivar assures the public that his team at the Attorney General’s Office is working on a number of reforms regarding improvements to Belize’s laws. 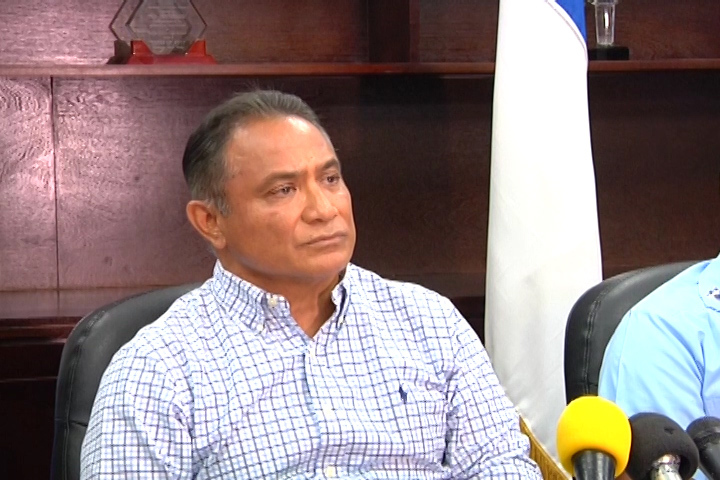 A few hours after the press conference, the leader of the Opposition, Honourable John Briceño spoke to the media expressing his dissatisfaction and concern with the measures set by the Ministry of National Security. He advised on a comprehensive and holistic approach to also address the socio-economic difficulties faced by south side residents in Belize City. “This is not the answer,” Briceño said. “The PUP would not have gone down this road because we would have been addressing this issue from way back. The government is reaping what they sow.” Briceño stated that government has abandoned and neglected the south side area of the city, and now they are paying the price of that abandonment. He called out the current administration for using Belize City south side for politics only, and not making the necessary change to transform the lives of the south side residents. “Yes we need the police to keep law and order in the area, but at the same time it is more than that,” said Briceño. He pointed out the high unemployment level in that area of the city; the high number of children that do not attend school because of finances, and the anger of the people that believe that their children and family members are innocently killed. “We should have counseling centers. It is not a matter of declaring a state of emergency and going in there and infringing on people’s constitutional rights and grabbing everyone on the streets and locking them up, because one month later when you release them, you will have problems again,” Briceño said. He stated that his party will always be on the side of the Belizean people and are ready to protect and defend them. According to the Ministry of National Security, the decision was also supported by Acting Prime Minister of Belize, Honourable Patrick Faber, who was not present at the press conference. 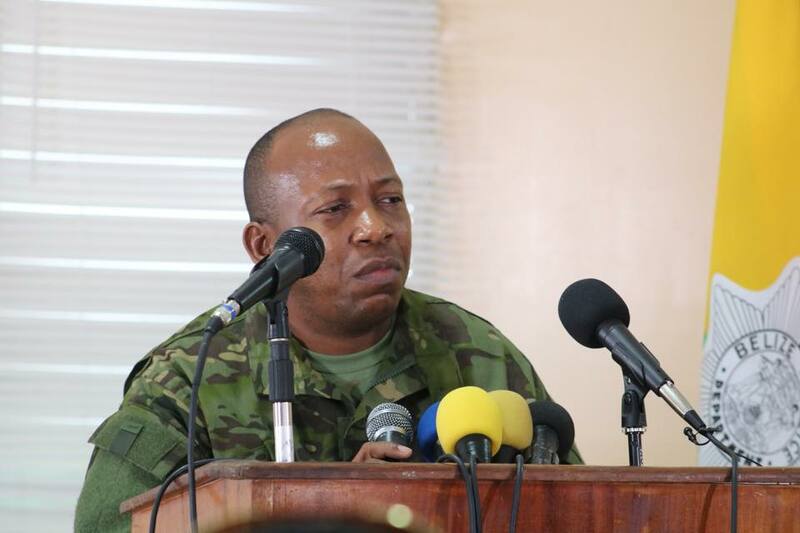 The Ministry stated that this is the last resort in anticipation of mass events during September Celebrations, and to allay any fears among the citizenry. At the end of the event, the public was made aware that the state of emergency will not include a curfew, and law-abiding citizens will be able to carry on their normal daily activities. The state of emergency will last until police are convinced that the situation has been satisfactorily contained.